Search Results for "yoga outside"
Two millennials perform the warrior yoga position outside on a sunny day. Dramatic rising dolly up shot. 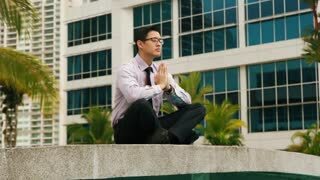 Young asian woman doing yoga outside in the park. Attractive woman meditate in standing in yoga tree pose in beautiful sun light. Three yogis practice yoga outside a SE Asian temple. 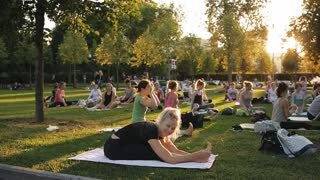 young pregnant woman doing yoga outside in the park. Pretty woman talking and laughing while doing yoga outside. Smiling girl stretches in half frog pose and relaxes. Fitness and exercise outdoors. 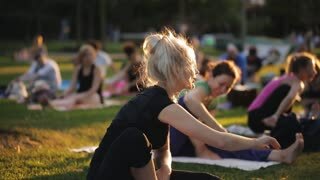 Close up view of a woman doing yoga outside in a park. Focus on her foot and hand as she moves into a new position. Fit lady exercising and stretching. Slow motion. Woman doing yoga outside on cool green grass with a gentle breeze and sunshine moves into upward bow or wheel pose. Flexibility, strength and physical fitness concept. Body and soul care. young pregnant woman doing yoga outside.